This article considers the methods of teaching in the field of the language for general purposes and the language for special purposes. The purpose of the article is to give a comparative analysis of teaching general English and English for special purposes, to present arguments with respect to approaches designed to organize and ensure the high efficiency of mastering English for special purposes. The study focuses on comparative methods of studying different training programs in order to set out the results of a success study of different students groups. 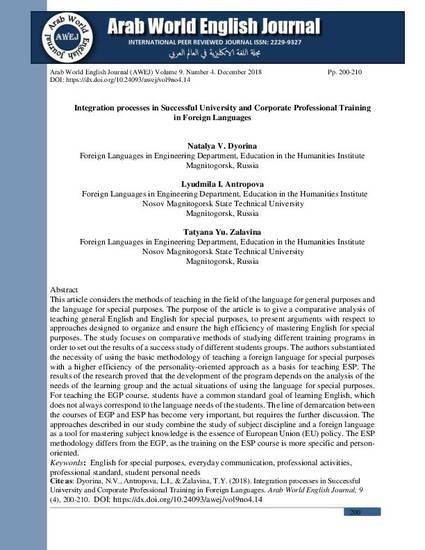 The authors substantiated the necessity of using the basic methodology of teaching a foreign language for special purposes with a higher efficiency of the personality-oriented approach as a basis for teaching ESP. The results of the research proved that the development of the program depends on the analysis of the needs of the learning group and the actual situations of using the language for special purposes.  For teaching the EGP course, students have a common standard goal of learning English, which does not always correspond to the language needs of the students. The line of demarcation between the courses of EGP and ESP has become very important, but requires the further discussion. The approaches described in our study combine the study of subject discipline and a foreign language as a tool for mastering subject knowledge is the essence of European Union(EU) policy. The ESP methodology differs from the EGP, as the training on the ESP course is more specific and person-oriented.